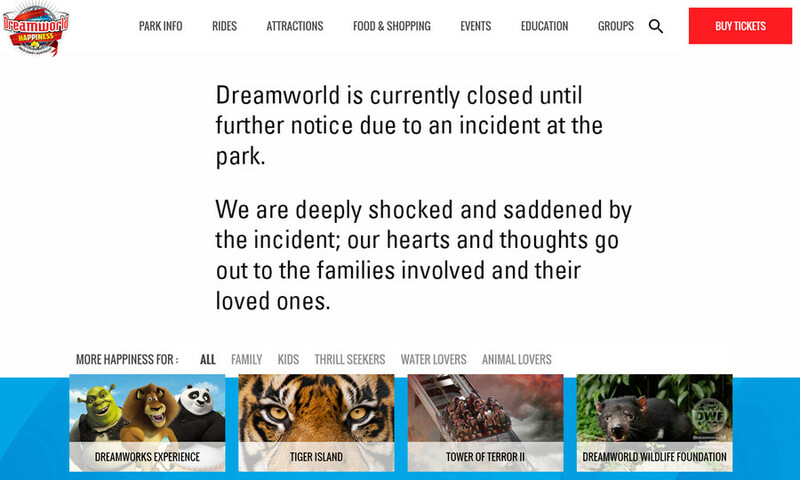 Gold Coast theme park Dreamworld will be closed until further notice due to today's incident on the iconic Thunder River Rapids ride where four riders were tragically killed. An honorable and respectful decision for which I applaud them for. No doubt a less scrupulous operator could have simply fenced off the attraction and gone about their business.